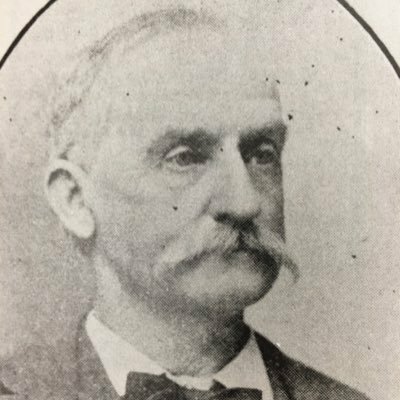 Judge John Camden West, Jr.
John C. West was born April 12, 1834 in Camden, South Carolina. He graduated from the University of South Carolina in 1854 but not before already putting his name in history books. In 1852, West took part in the “Biscuit Rebellion.” Student at USC were angry with the poor quality of food in the cafeteria so organized a formal protest and West was among the students expelled as a result. Having proven himself as a promising scholar, they let him return the following year. After graduating in 1854, he made his way westward and arrived at Austin to join his brother in 1855. In 1856, West briefly returned to South Carolina where he married Mary Clark. 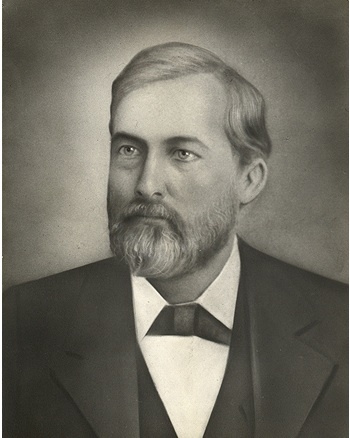 His brother, Charles S. West, was responsible for convincing Brother John to move to Waco. Charles was a Texas legend himself and would go on to sit as Justice for the Texas Supreme Court. John studied law in the office of Charles and in 1858, he passed the Bar exam. He moved to Waco in 1859 after being offered the position of schoolmaster at the Waco and Trinity River Classical School, which later changed its name to Waco University before merging with Baylor. He remained in the position until 1861 when a very different sort of calling became apparent. In April 1861 West enlisted in the Confederate Army as a private in Hood’s Brigade but in May, Confederate president Jefferson Davis appointed him as District Attorney for the Western district of Texas. West resigned and this time, he enlisted in Speight’s Regiment in March of 1862. Yet again, Davis appointed him district attorney when the permanent government was established. West was becoming frustrated. Determined to see action, West resigned once more and reenlisted with his original company in April 1863. Finally, his end was met. West fought at the battles of Gettysburg, Chickamauga, and Knoxville before receiving an honorable discharge in February of 1864. After the war, West returned to Waco and set up a successful law practice before becoming a judge. In 1875, he was elected Mayor. In 1901, he published, “A Texan in Search of a Fight.” It was a collection of his diary writings from the 1860s. On the cover of the diary was his name, information, and the note, “This careless little journal is useless to a stranger, but may be prized by my friends.” His humility was unfounded and it proved to be extremely popular as Texans got to see the nitty gritty details of life as a soldier in the War between the States. Much use of the book has been made by historians in acquiring information about the battles of Gettysburg and Chickamauga. A quick read through Waco 92’s membership rolls will reveal many names also in West’s book. He dedicated the book to Southern women for their support and their roles as the backbone of society during a time of war. His wife had been something of a civic inspiration in Waco and as a result, the local chapter of the United Daughters of the Confederacy named themselves after her. 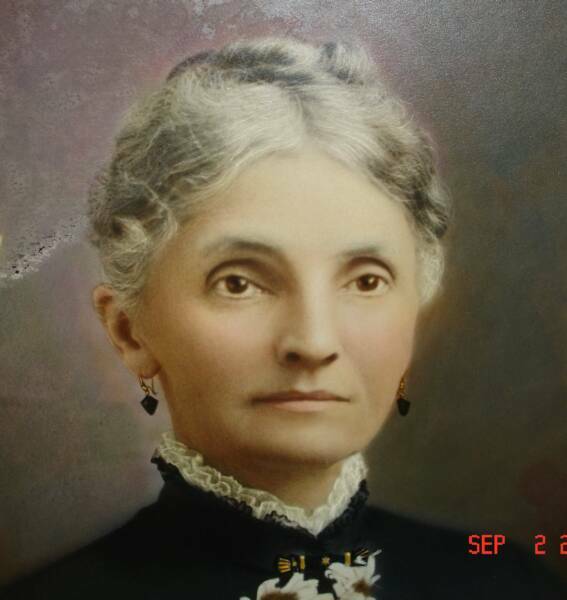 Way back in 1858, she formed a women’s Baptist missionary organization in Waco. It was the first such outreach of its kind in the area. West was a longtime member of the Waco Bar Association and of the First Baptist Church. He was in various positions of leadership for the Waco Baptist Association. When he came to Waco in the 1850s, he settled next door to Speight’s big farm(the site of Baylor campus today). West called his property Minglewood and it stretched from Waco Creek towards downtown and along 7th street to about where IH35 crosses through now. For many years, he allowed the citizens of Waco to use Minglewood as a park much like Cameron Park is now used with its trails and trees. After his death, Professor A.J. Armstrong lived there but sadly, the building was destroyed in the 1960s. Today, the classroom for the Great Texts courses at Baylor University is located right about where West’s home used to be. The classes take place in a building named after 92 member Samuel Palmer Brooks. Your author, 92’s current Worshipful Master Robert Marshall, studied there for a few years while attending Baylor. In fact, the first time I got my hands on a copy of “A Texan in Search of a Fight,” I read it before classes while sitting on some benches where West’s property once ran into Waco Creek. That is one hundred fifty years of 92’s mark on the exact same spot for a variety of reasons. John Camden West died in Waco on July 12, 1927. News of his death traveled across Texas and the city was in mourning. All agreed. A hero was gone.